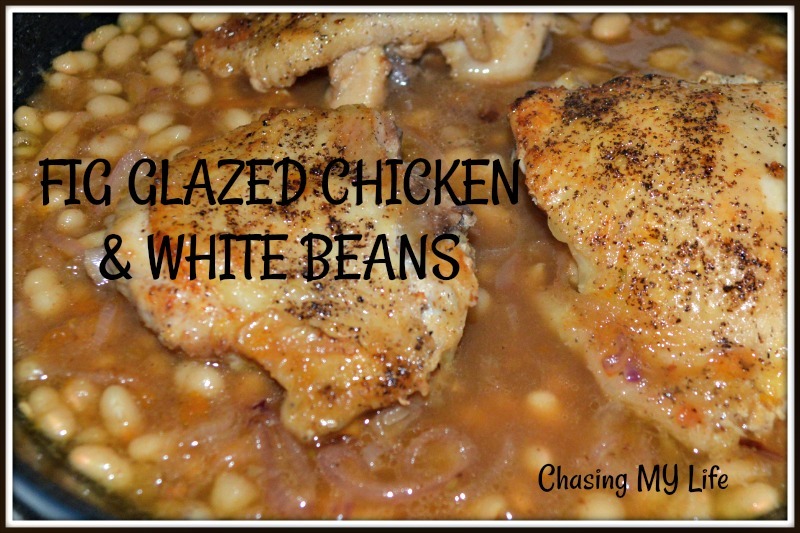 In a large cast iron skillet add the oil to the hot pan and brown chicken pieces in batches, starting with skin side down. Remove chicken from pan and add shallots, sautéing until golden. Add fig preserve mixture and bring to a SLOW boil. Be sure to loosen any browned bits from the bottom of the pan. Add the chicken pieces back in. Reduce heat and simmer covered 5 minutes. Add the beans and return to a SLOW boil. Cook uncovered 10-15 minutes until chicken is cooked through. We recently took a walking tour of food in Carmel with several family members thanks to my wonderful nephew and his wife. Staci, the owner, was super personable guide with a GREAT sense of humor. We had a FANTASTIC time and thoroughly enjoyed ourselves. Staci went above and beyond with her knowledge of the Carmel area and the businesses she was introducing us to. The businesses and foods were well balanced to accommodate your palette and your walking pace. We highly recommend this tour on your next visit to the Carmel area. One of the stops was to an olive oil company, Trio Carmel. One of the other stops was to a Carmel Honey Company that was begun by an enterprising young bee keeper for a 5th grade project that became a family business. Personally I can’t stand olive oil, but they had some wonderful flavored vinegars that I purchased (Peach and Cranberry Pear). Add in some of the wonderful honey and from there this recipe was born. This is the perfect recipe for a summer’s evening. There are tons of fresh vegetables sautéed with flavorful balsamic vinegar and topped with roasted cashews, golden raisins and shaved Parmesan cheese. Plus one pan and NO oven! If it’s winter time and you WANT to use your oven, roast the veggies instead before tossing all together. The beauty of this recipe is that with all the choices of flavored vinegars these days you can easily change up your flavor palette with this versatile recipe! I had some gorgeous fresh peaches that I tossed in also. Add Avocado oil and butter. 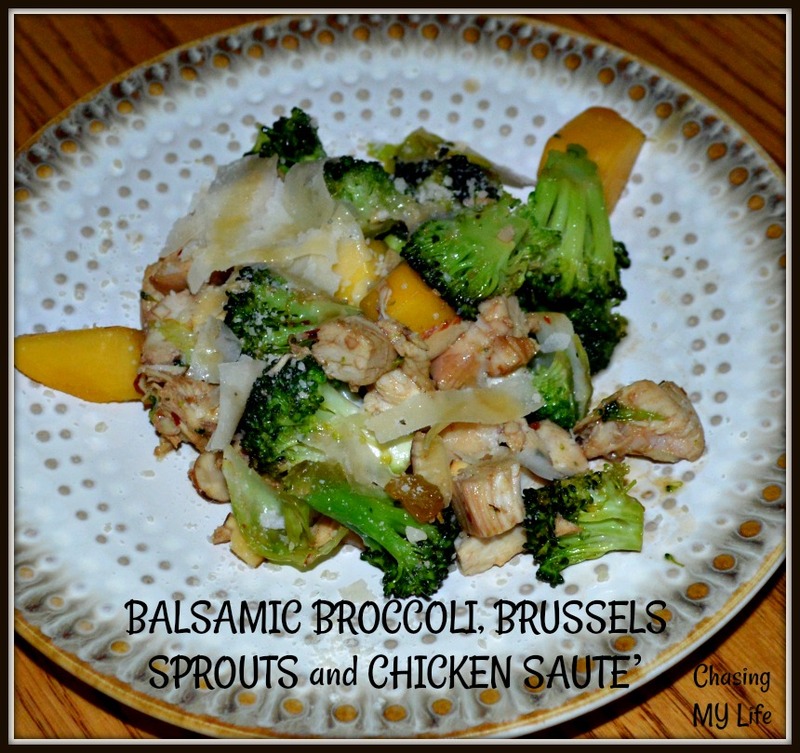 When melted, add Brussels sprouts and broccoli, sautéing 2-3 minutes. We like our Brussels sprouts a bit crispy so I usually add them first and get a crispy edge before I add the broccoli. Add 2 tablespoons water. Cover and cook for a minutes or two. Add Balsamic vinegar and liquid aminos and saute’ a minute or two more. Add honey and stir to coat. Add chicken pieces, raisins and cashews and saute’ a couple minutes more until heated through. Drizzle with a touch more honey and Parmesan cheese before you serve.